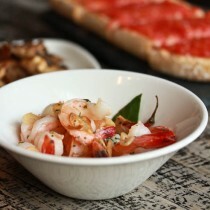 Gambas al Ajillo from Curate Tapas Bar in Asheville, North Carolina. Some people wonder aimlessly through life, responding to whatever trial or happiness drifts their way. Others look at the world as a giant classroom; finding the lesson in each stage of life, seeking to learn and grow from every new experience, continuously acting rather than reacting. I would say Katie Button is the latter; a student of life and all it offers. Katie Button’s culinary journey started in a curious place. She finished her undergrad at Cornell, then moved to Paris to get her Masters in Biomedical Engineering. Although she excelled in math and science, Katie’s educational pursuit left a void in her life. Engineering offered her praise and potential prestige, but no real fulfillment. While studying in Paris, Katie lived in a little apartment around the corner from Rue Mouffetard, famous for it’s glorious food markets. Fascinated by the Parisian way of savoring ingredients and giving proper respect to the foods they prepared, she spent endless hours practicing cooking techniques and experimenting in her tiny kitchen. Katie tells of a time she was determined to make puff pastry from scratch. She had very little counter space to work with, so she taped off a section on the floor, sanitized it, then rolled out her puff pastry for a traditional French Saumon en Croute. In Paris, cookery rested it’s beguiling claim on Katie’s future. After returning to the states, Katie was accepted into a PhD program for Neuroscience. Yet, two weeks before she was due to arrive, Katie QUIT something for the first time in her life. She had a deep resolve that this was not the path meant for her. To the astonishment of friends and family, she took a wait staff position at Café Atlántico in Washington DC. Although Katie wasn’t allowed to work in the kitchen at Café Atlántico, for lack of formal training or experience; she would take her days off to come in to work… simply to watch and learn. Interest became fortitude; fortitude became passion. During this time, Ferran Adrià sent several of his employees to Washington DC to help his friend José Andrés with training. In this party came Felix Meana, El Bulli’s “Chef de Rang” or head of the dining room. Katie and Felix developed a strong bond and when it was time for Felix to return to Spain, it was decided that Katie would go with Felix and work at El Bulli. She still was not allowed in the kitchen, due to lack of experience, but she was the first American to ever serve at El Bulli and was able to study Chef Ferran Adrià’s flawless technique and ingenuity. When Katie left Spain, she had the approval and recommendation of Ferran Adrià and was finally able to work in a professional kitchen, first at José Andrés’ The Bazaar in Los Angeles and then at Jean Georges in New York. 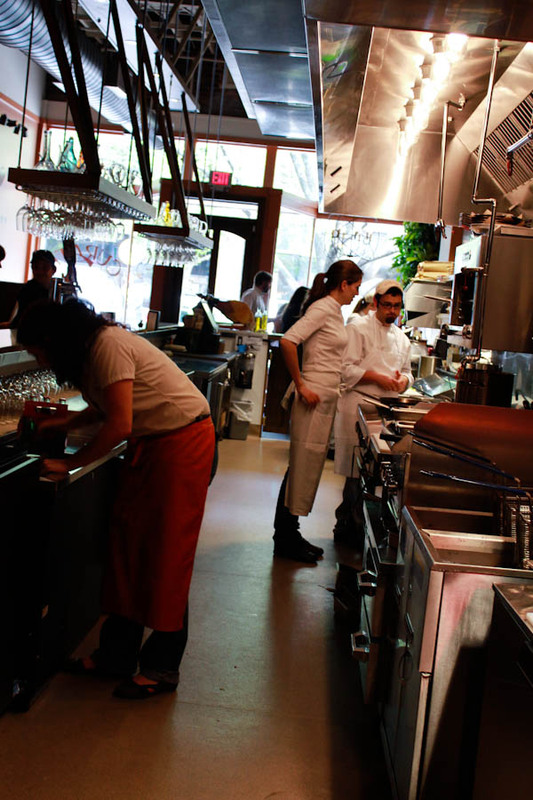 To Katie’s delight, now that she had EXPERIENCE, she was offered a position back at El Bulli. 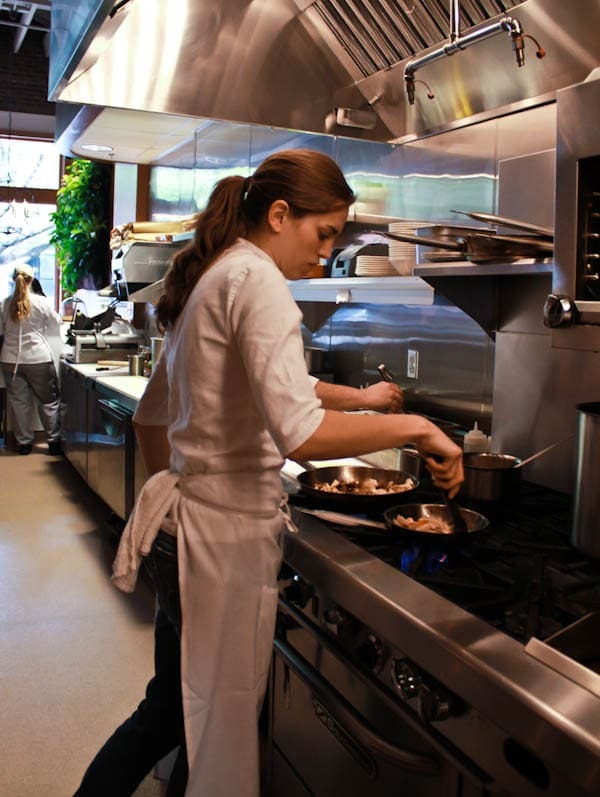 There she finalized her “education” as a line cook in one of the most sought after restaurants on the planet. So what is she doing now, you ask? Katie Button and fiancé Felix Meana are in little ol’ ASHEVILLE! When they returned to the states, they searched for the perfect place to open their first restaurant together. After a long road trip down the east coast, they decided Asheville, North Carolina had just the right feel and food culture in which to birth their dream. 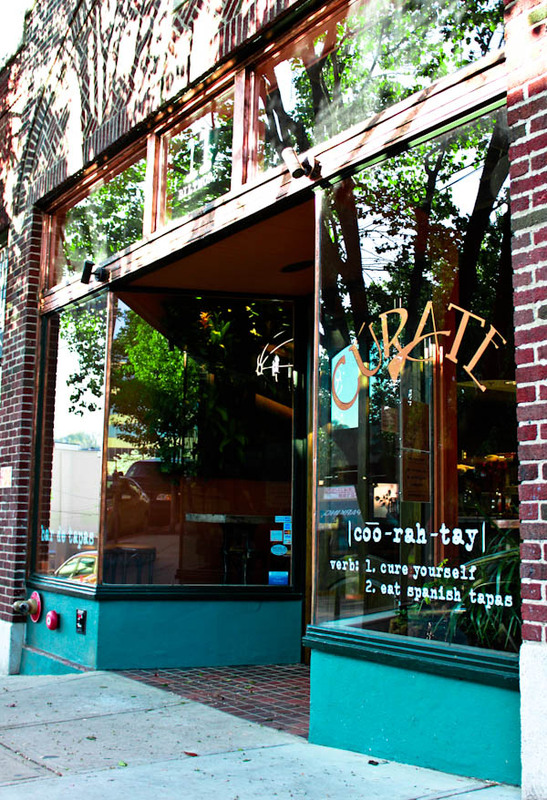 With the help of Katie’s family, Curate Tapas Bar opened its doors March 4th, 2011 and is feverishly making it mark. 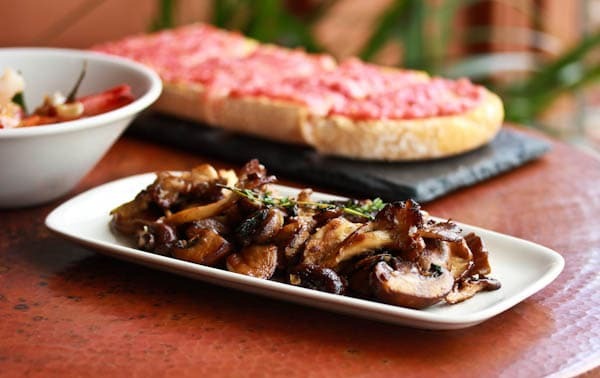 Katie and Felix focus on high-quality ingredients, simple authentic Spanish preparations, and painstaking attention to detail. I’m delighted to tell you that Executive Chef Katie Button has offered two recipes to A Spicy Perspective. 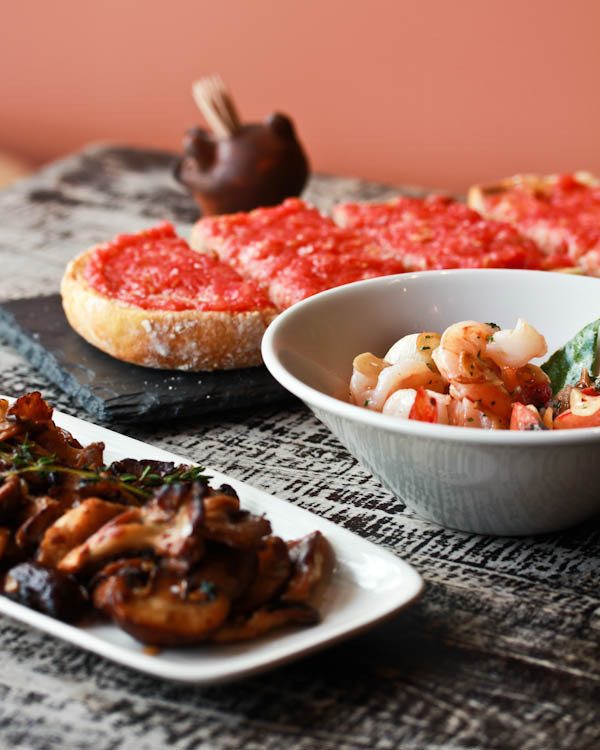 These simple Spanish dishes are a perfect example of Katie’s philosophy that superior ingredients provide the best flavor, with very little fuss. 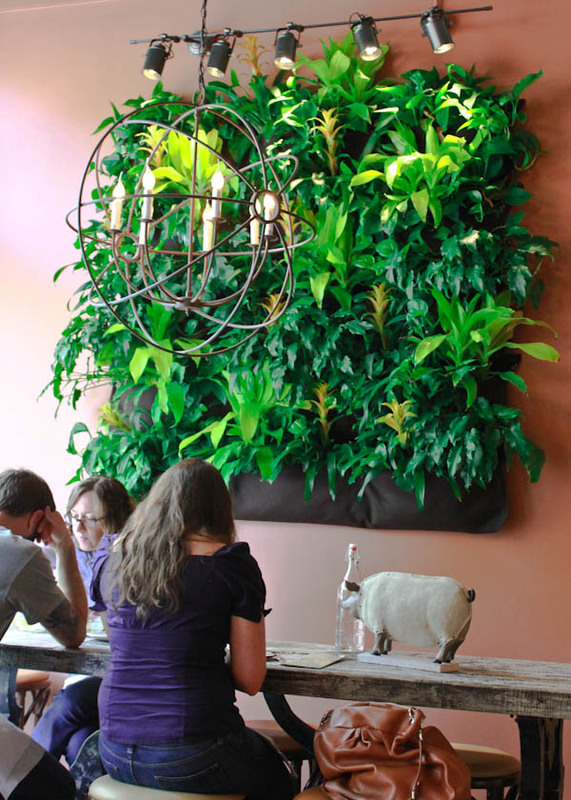 If you aren’t a local but plan to be in Asheville this spring, Curate Tapas Bar is definitely worth checking out! Heat the oil in a saute pan over medium heat with the whole clove of garlic skin on, just until the skin on the garlic starts to brown. Meanwhile salt the shrimp with a half a teaspoon of salt. Once the whole garlic clove has started to brown, add the sliced garlic, and as soon as the sliced garlic just barely begins to brown, add the arbol chili, bay leaf, and the shrimp. Toss everything together in the saute pan cooking the shrimp. When the shrimp is halfway cooked (still raw in the center), remove from the heat and add the sherry, mix well, and return to the stove over medium heat. 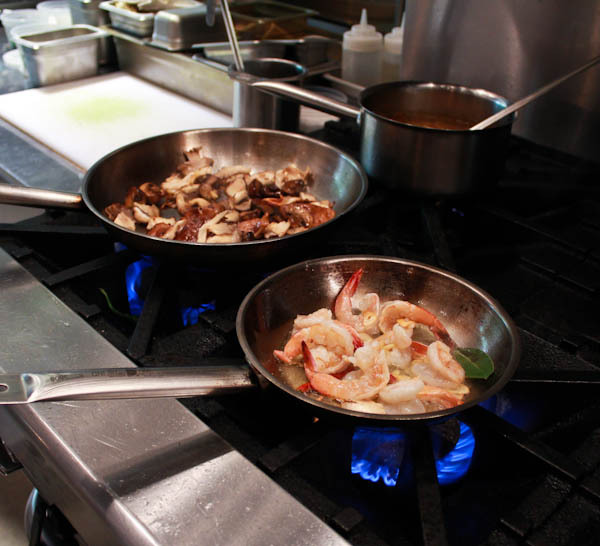 As soon as the shrimp is just cooked through, remove the shrimp from the pan with tongs and place on the serving dish. Return the sauce to the stove and reduce a little bit, tasting and adjusting the seasoning for salt. Pour the hot sauce over the shrimp and serve immediately.